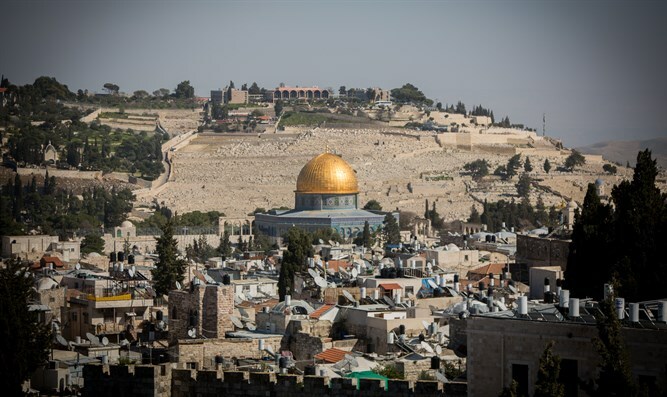 Ergogan said that all Muslims must go up to the al Aqsa Mosque, which is located on the southern end of the Temple Mount, Channel 2 reported. He said that that going to the Mosque would be the ultimate show of support from the Muslim world to the Palestinian Arabs. “Both in terms of our religion and historical responsibility, Al-Quds and the fight of our Palestinian brothers for rights and justice is of great importance to us. We will keep making efforts for Quds to turn into a city of peace,” he said. He lambasted Israel for the proposed Muezzin Bill, which would limit the decibel level of the loudspeakers of houses of worship during the night and early morning. “The fact that such an issue is even coming to the agenda is shameful,” Erdogan said at the opening ceremony of the International Forum on al-Quds Waqf in Istanbul. "The fact that those who talk about freedom of thought and faith at every opportunity actually approve this step by remaining silent is noteworthy. We will not allow the silencing of prayers from the heavens of Jerusalem,” he added. Erdogan also called on the US to cease all discussions on the possibility of moving its embassy from Tel Aviv to Jerusalem. “The debates over the possibility of US moving its Israel embassy to Jerusalem are extremely wrong and should certainly drop from the agenda,” Erdogan said.